46 Aviation SA are proud to announce ‘Kaspersky Lab’ as it’s sponsor for the entire aircraft fleet. 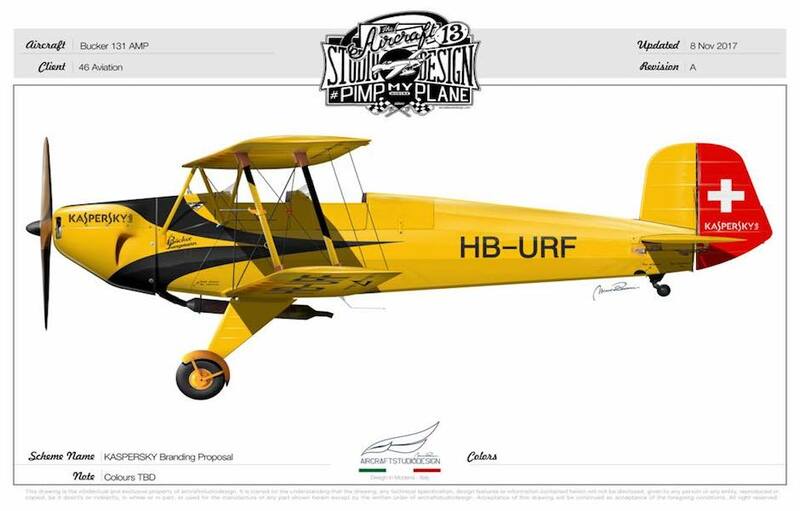 46 Aviation is based in the Swiss town of Sion operating Warbirds, Aerobatics and Wingwalking. 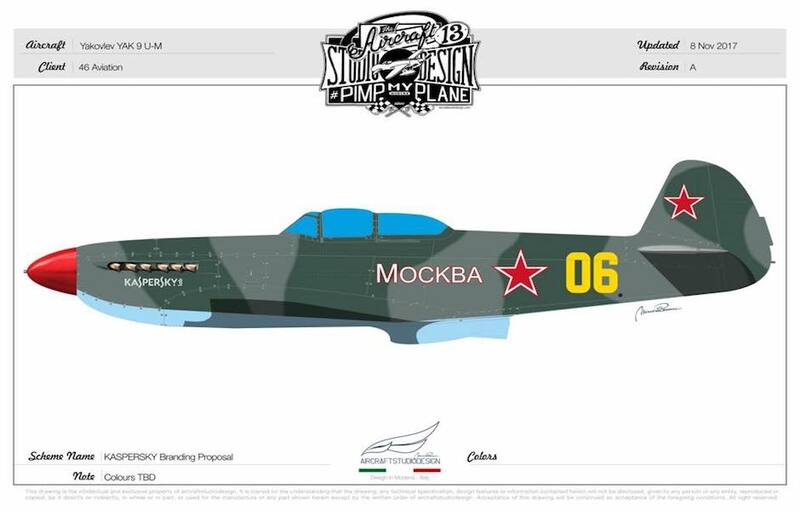 The Kaspersky fleet includes… The Yak 9, a Soviet Union fighter aircraft during World War II. This aircraft earned a mean reputation amongst its competitors on the battlefront, particularly due to it’s exceptional performance at low level altitude. 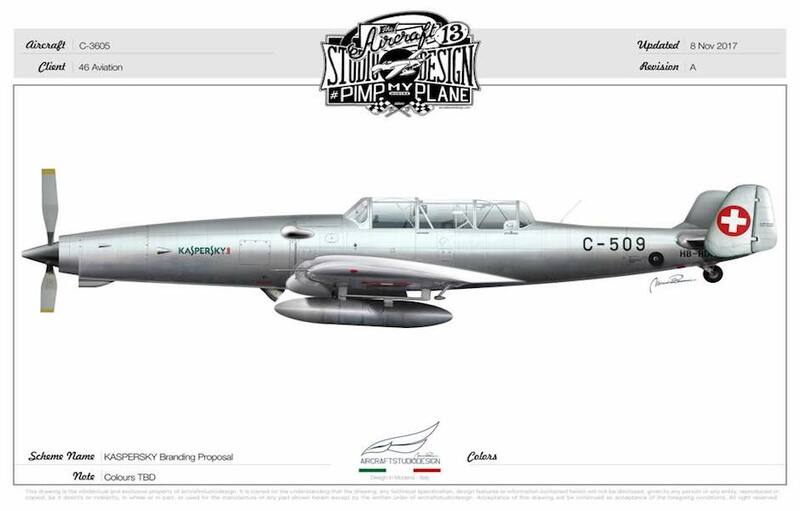 The C3605, an ex Swiss military Warbird entered the service in 1942 for reconnaissance and ground attack duties. This quirky aircraft’s striking looks and unparalleled shape, along with it’s surprising agility for it’s size, certainly make for an eye-catching piece of machinery! The Bücker Jungmann oozes vintage charm as it makes a graceful demonstration of aerobatic aerial ballet. The extra 330, an agile and impressively aerodynamic aircraft is stressed for plus/ minus 10 G- force, truly bringing to the aerial arena an extreme aerobatic performance, not for the faint hearted. The certified wingwalking modified Boeing Stearman, from which professional wingwalker Danielle, not only stands on the top wing, as the plane flys inverted, loops and rolls through the sky, but you will also actually witness her walk in-between the biplane wings, showcasing the real wingwalking! Danielle is proud to represent women in aviation, showing off the Stearman’s new Pink livery by aircraftstudiodesign.